Being able to locate exactly where the resistance begins is the first step in truly tackling it. Currently, antibiotic resistance is one of the most dire threats to public health. Put simply, is what happens when medications commonly used to treat bacterial infections are rendered ineffective because the bacteria has evolved from repeated exposure to them. 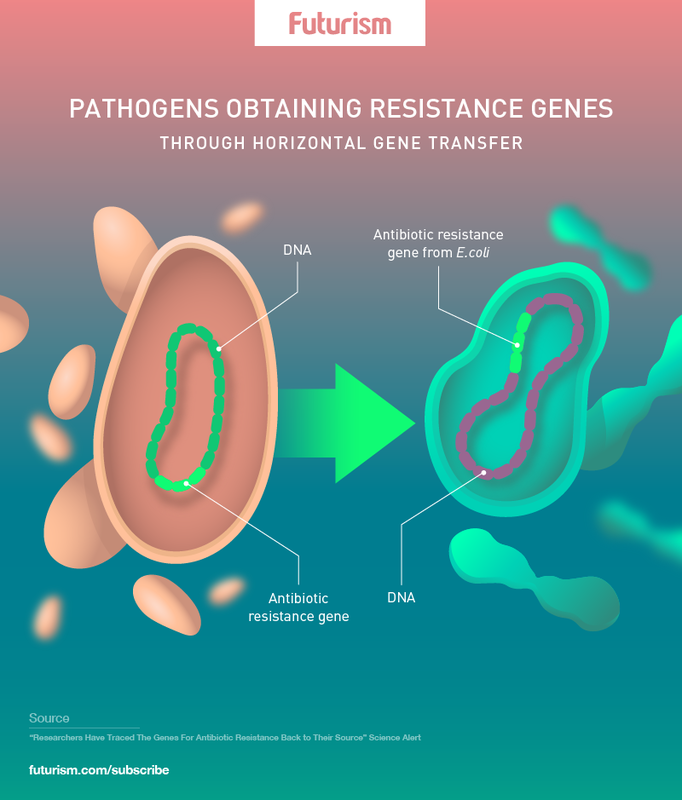 While this resistance is often attributed to over-prescription of antibiotics (or taking them when they aren’t needed or won’t work, like in the case of a viral infection) bacteria can become resistant even when antibiotics are taken as prescribed. As there are not endless antibiotic treatments available for every infection, this is a clear and obvious problem — one that researchers at The Novo Nordisk Foundation Centre for Biosustainability in Denmark are hoping to get to the bottom of. It is impossible to say with certainty how many infections occur worldwide in a given year, but according to the Centers for Disease Control and Prevention (CDC), in the U.S. alone there are an estimated 1.7 million healthcare-acquired infections, and 99,000 associated deaths, annually. While not all of those infections are bacterial, if the ones that are continue to develop immunity to the available treatments we have, they will only get worse. The challenge of antibiotic resistance itself only get progressively worse unless solutions are created — and sooner rather than later. This breakthrough won’t solve the entire problem, but being able to exactly locate where the resistance begins will be the first step in truly tackling it.